Free Shipping on orders $49 plus. 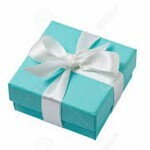 Mother’s Day is coming what gift do you have picked out for mom? This was the perfect birthday gift for my friend who is a busy Mom of four. She can put this bracelet on in a hurry and add style to any outfit.Very versatile and great quality. – Stephanie S.
I bought this necklace for a young lady as a gift, and it’s really a unique and versatile jewelry item. I used to wear charm bracelets when I was a young girl, so I loved the idea of this necklace. I like that it can be worn as an everyday necklace, and she can add more charms to it as she does more sports, or take the charms off for just a sophisticated, understated, bar necklace look. – K.J.